Have you heard about Hutto? That is, the T. Don Hutto Correctional Center in Taylor, Texas that came under scrutiny for its incarceration of immigrant children (along with their parents) who were apprehended by Immigration and Customs Enforcement for their undocumented presence in this country? Initially covered up by the government, the inhumane conditions of detention at Hutto persisted for several years after their illegality was brought to light, from 2006 to 2009. You are to be excused, though, if the Hutto controversy is news to you, because, according to Hector Amaya, it never received the press coverage that it deserved. How does a government cover-up of human rights abuses against children not merit extended and thorough coverage by the news media? With this phrase, Amaya captures the privilege and power associated with citizenship and their influence over politics and government, often to the detriment of Latino/as. 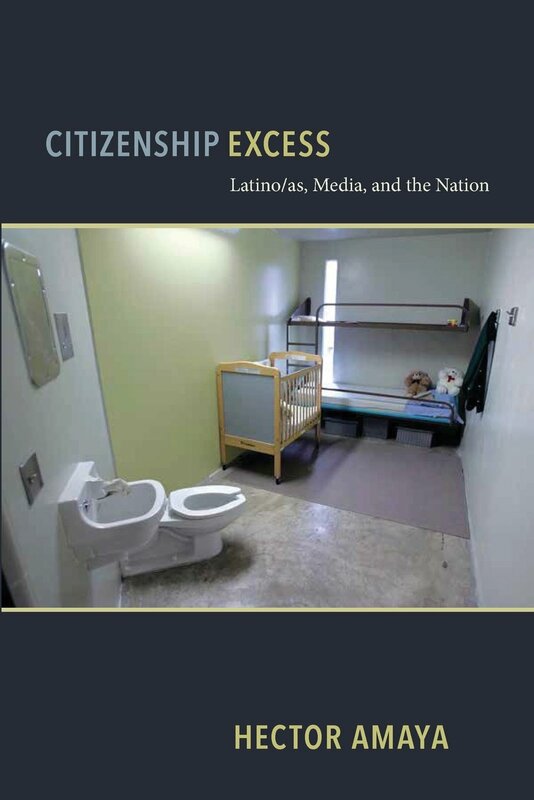 Citizenship Excess: Latino/as, Media, and the Nation recognizes the power of the media in shaping public discourse and sees Latino/as at a significant disadvantage due to their lack of media influence. Amaya notes that the majority of media outlets serving Latino populations, including Spanish-language media, are owned by non-Latinos. This has led to a climate in which media diversity is a “self-serving economic tactic” with a goal of increasing profit rather than meeting the informational needs of the consumer. Amaya’s academic background and affinity for theory make this book a challenging read for the layperson. The author is at his best when focusing on concrete examples of citizenship excess, such as the subtext of Ugly Betty or the “ethnocentric fantasy” of consent when non-citizens killed in military combat are posthumously granted citizenship. For those interested in the political and cultural conditions that allow immigration issues, including the Hutto scandal, to remain marginalized in the public sphere, this book will deliver. Sarah Dahlen is a university librarian and Latina Lista contributor.